The two–year Electronic and Communication Technology (ECT) course teaches the theory and fundamentals of electricity and electronic devices. It also provides lessons about basic and essential information on how to troubleshoot and analyze electrical problems. 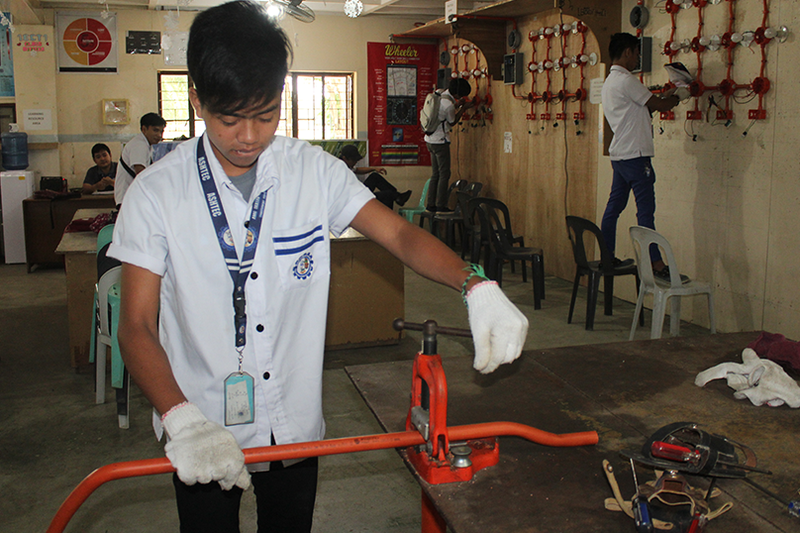 It teaches the students essential skills in the maintenance and repair of radio and television receivers, CD, VCD, DVD players, other home appliances and cell phones. Basic I.T subjects are also included in the curriculum; as well as Computer Hardware Servicing to complete the module. The course curriculum aims to develop versatility among the students in the field of electronics application and devices. Maintenance, Repair, and overhaul involves fixing any sort of mechanical, plumbing or electrical device should it become out of order or broken (known as repair, unscheduled, or casualty maintenance). 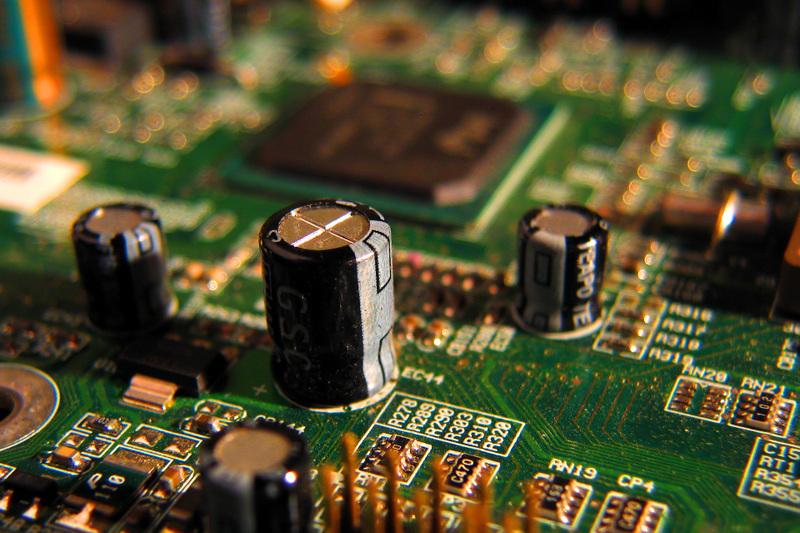 This qualification builds on the National Certificate in Electronics Technology and is designed for people interested in electronics who may wish to pursue further training and employment in this field. 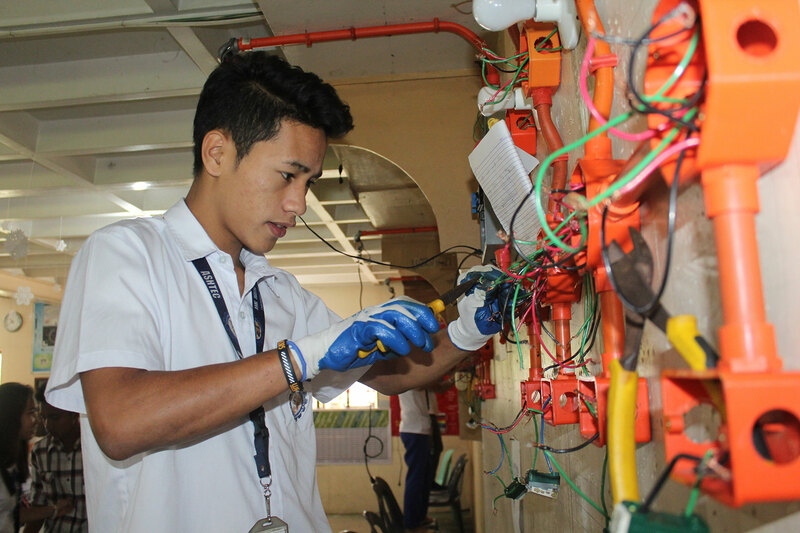 A short TESDA course that will train in installing and maintaining electrical wiring, lighting, and related equipment and systems in residential buildings where the voltage does not exceed in 600 volts. A short training program designed to enhance learners basic knowledge into more advanced skills in assembling electronic products, servicing consumer electronic product and systems, preparing PCB modules and installing and servicing consumer and industrial electronic products and systems. 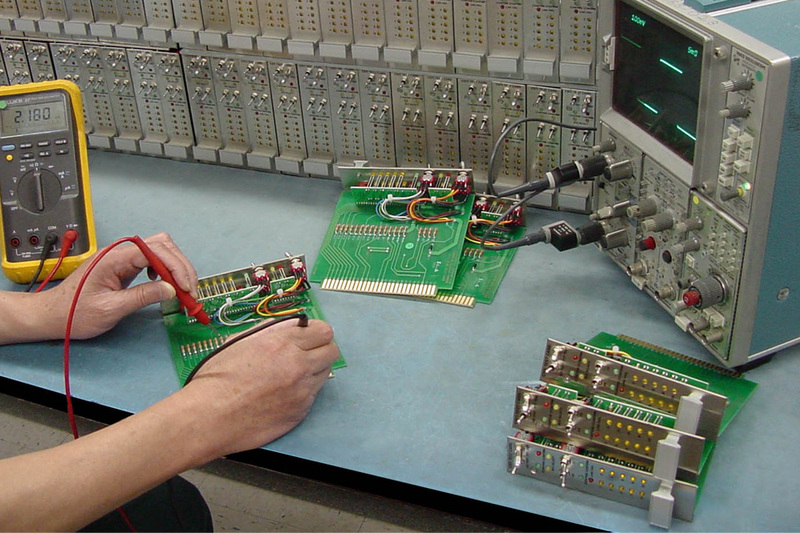 All require trained electronics technology professionals to build, maintain, and repair technical infrastructures. 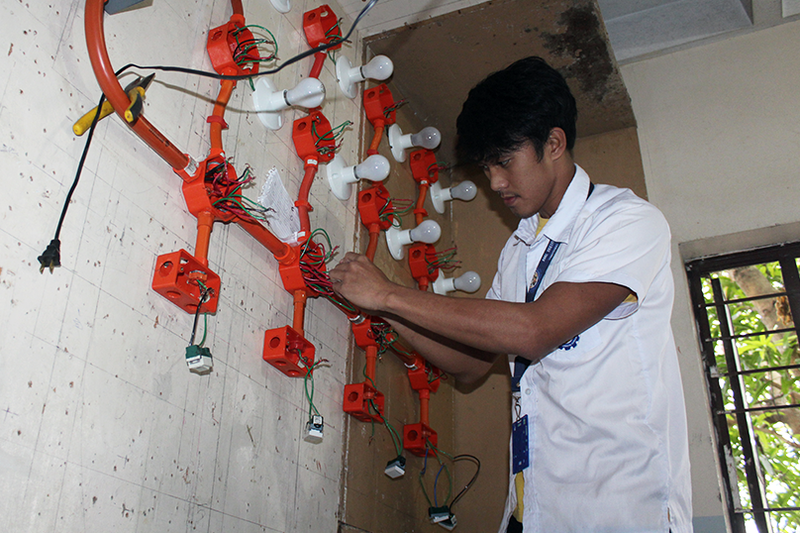 Businesses need qualified technicians familiar with electrical systems to grow.